A proposal in the Missouri House would require gun owners to report a lost or stolen firearm within 72 hours. 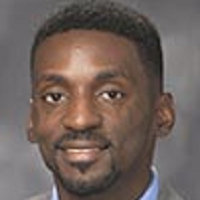 Democrat Bruce Franks Jr. of St. Louis filed the legislation to close a loophole which allows legally purchased guns to be re-sold or given to anyone with no accountability. He says it would help protect against legal owners transferring their fire-arms to those who might use them when committing crimes. Franks Jr. claims his measure ensures responsibility of guns without infringing on privacy or 2nd Amendment rights. Under it, People who failed to report a lost or stolen fire arm within the allotted time would be fined for the first and second offense, but could face jail time for a third violation. Franks Jr. says the measure establishes liability for people who don’t come forward. Franks Jr. sent an open letter to the National Rifle Association (NRA) in which he invited the gun rights group to come talk to him about his legislation. The organization has so far expressed opposition to his proposal along with a companion bill in the Missouri Senate. The NRA and those against the legislation contend it would violate the 2nd Amendment right to bear arms and could subject law abiding gun owners to severe penalties. Franks Jr. counters that his measure establishes accountability without requiring databases of gun sales that fire arm advocates object to. There’s some evidence that illegally obtained guns play a major role in crime. A study by the University of Pittsburgh used numbers provided by the Pittsburgh Bureau of Police to trace the origins of all firearms that police recovered from crime scenes in the year 2008. Roughly 80 percent of the crimes involved people who were not lawful gun owners, but who possessed a gun illegally that belonged to someone else. Currently 10 states (including Missouri’s neighboring Illinois) and the District of Columbia have laws requiring gun owners to report lost or stolen guns to law enforcement agencies. In his open letter to the NRA, Franks Jr. stated “I believe it is essential for your association to protect its members by (1) supporting these bills and (2) prioritizing our duty to protect not only ourselves but also our fellow citizens.” During an interview with Missourinet, he said he would be reaching out to the organization this week.